MBO College Almere Buiten is located adjacent to the city center and train station contributing to the essential area flow of (visitors) parking cars, loading and unloading, bikes, students, visitors and employees. 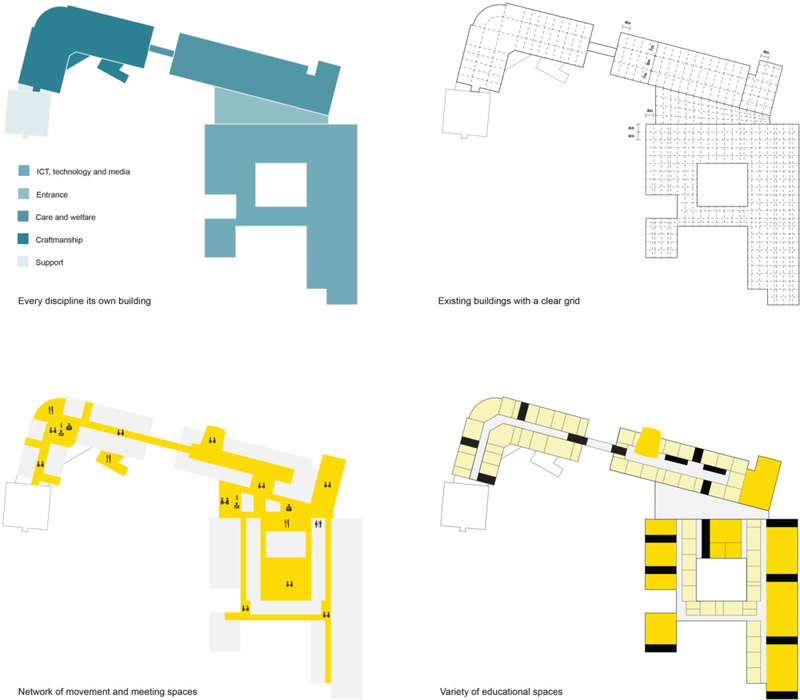 The existing building complex was originally built in four parts (buildings A, B, C and D) over the past 25 years in different phases. The much-needed renovation of a 30-year-old vocational college has become a catalyst to refresh outdated educational concepts and trigger physical and spatial improvements to meet the new demands of educational market. 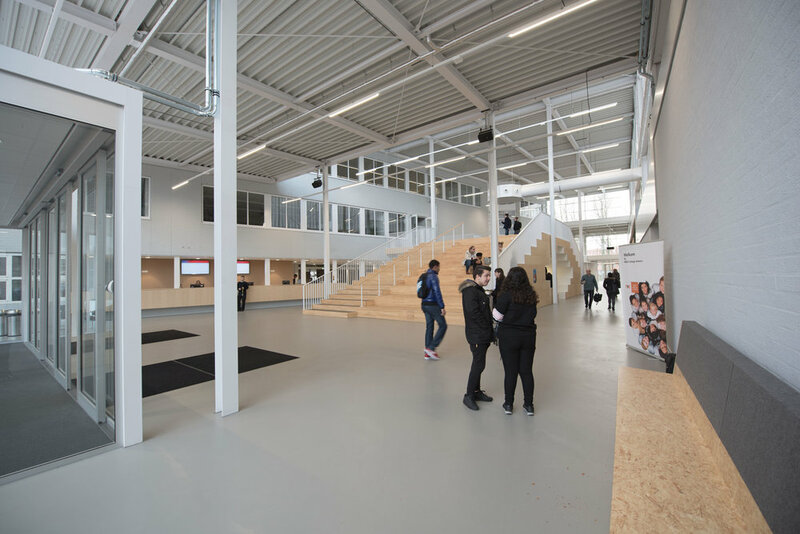 The MBO “campus upgrade” aims to transform the existing complex into an innovative learning environment in order to stimulate more social interactivity, accommodate chance meetings and increase public safety. Our design approach was simple and pragmatic; analyze the existing condition, demolish what is not working, preserve what is characteristic and transform the rest into a contemporary learning environment. A new space that feels more clean, open with fresh new materials, transparent deep spaces and socially interactive so that fellow students and visitors can see what is happening inside the school.